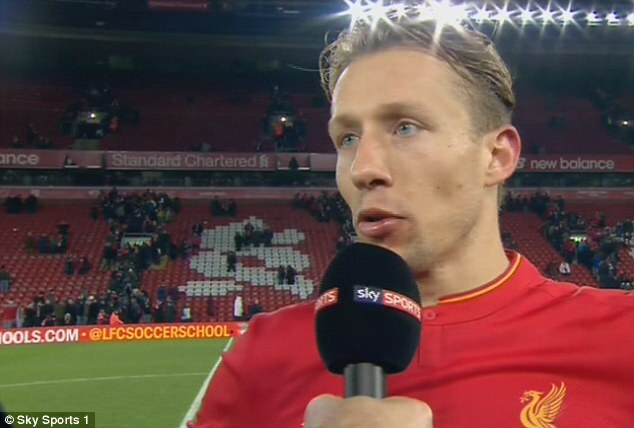 Liverpool organized a tribute for their long time player Lucas Leiva. The Brazilian has spent a decade at Anfield so the club made out time to celebrate him. Former skipper Steven Gerrard was available as he led the tributes for the Brazilian star. The club’s biggest personalities were there at a special dinner in Leiva’s honour on Monday at the new Main Stand at Anfield. Former star Jamie Carragher joined Gerrard to thank Leiva for a decade of hardwork. Gerrard took to his social media account to wish Leiva a goodwill message that reads: “10 years a Red. Congratulations Lucas Leiva,” adding a photo of both of them. Former Liverpool player John Aldridge was at the ceremony titled ‘Lucas Ten Years A red’ alongside Manchester City stars Fernandinho and Pablo Zabaleta. Lucas moved to Anfield in 2007 from Gremio. He has racked up to 342 appearances since then for Liverpool. He may be nearing his end at the club but he might get an extra year as his deal runs to Michael Owen a close.